Has Rockstar lost touch with the PC gaming community? Rockstar, the company that started the mega popular Grand Theft Auto series, may be heading in a very non-pc friendly direction. The Grand Theft Auto series which started on the PC in the 90s has been released on consoles first since Grand Theft Auto 3. This was not a major problem since the PC versions that came later had the benefit of better graphics, better shooting controls(if you used a mouse), and the ability to be modded. 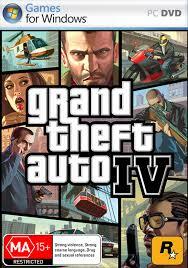 Fast Forward to 2008 with the release of Grand Theft Auto IV for the PC, and things do not look good. The game comes out half a year later (nothing shocking about that) with numerous bugs not present on either the XBox 360 or the PlayStation 3 versions. Bugs ranged from random slowdowns to huge graphical glitches. In some cases, gamers have reported issues such as very limited draw distance and no textures on computers that far exceed the minimum system requirements. To answer the outcry from the PC gaming community Rockstar released a patch that solved the graphical issues for many users, but now introduced camera issues that would either cause the camera to randomly spin or get stuck. So now it looks as if the patch needs a patch. Way to go Rockstar. So was this just a single mistake on Rockstars behalf? Will they release patches that take care of the major bugs and the need for all these service logins? Or have they lost touch with the PC gaming community and leave everything the way it is?